The dealine for deadline for abstract submission is February 28, 2019. 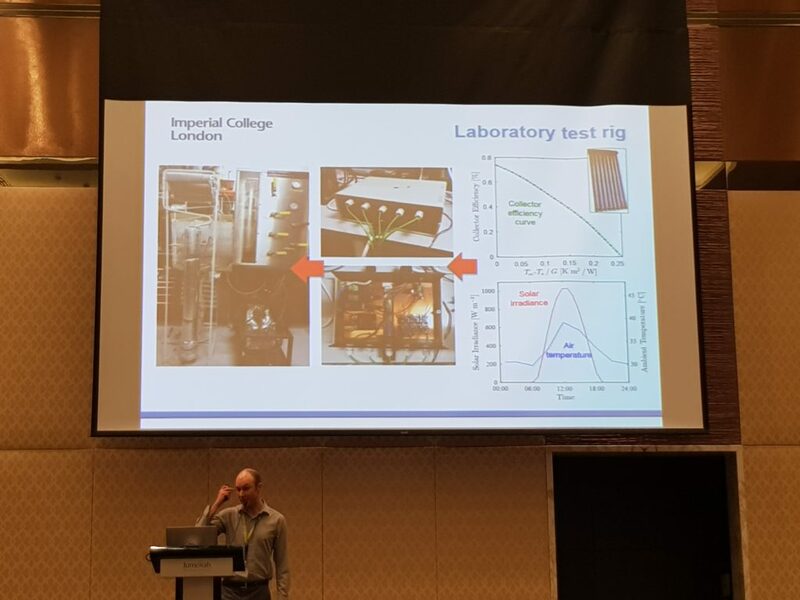 In the last conference (http://www.shc2017.org/) Energy Transitions presented a joint paper with Imperial College and Solar Polar on the testing of a Solar Diffusion-Absorption Refrigeration System. You can download a copy of the paper below and I’ll talk about the work we did on the development and manufacture of the solar simulator used in the experiment in another post. Freeman, James & Nkh, Ahmad & Edwards, Robert & Reid, Michael & Hall, Richard & Ramos, Alba & Markides, Christos. (2017). Testing and Simulation of a Solar Diffusion-Absorption Refrigeration System for Low-Cost Solar Cooling in India. 1-12. 10.18086/swc.2017.28.07.